It is said that an extra virgin olive oil resembles the person who makes it. Enzo Carpino’s olive oil is highly valued, generous, and has a distinct flavor profile. Say “Siracuse,” think “sea.” Wind through the land-and-sea road until you arrive at Palazzolo Acreide, a UNESCO World Heritage village, where, at the Chiappa homestead, you will understand what it means to fall in love with a Tonda iblea. Enzo Carpino was just four years old when his father, Salvatore Carpino, fell hopelessly in love with this plot of land and its rolling hills on the border of the Iblei Mountains in Sicily. It was 1971. The Chiappa homestead was once an imperious estate that belonged to an ancient, noble family, characterized with centuries-old olive groves and calcareous rocks. Salvatore bought the land at a steep price with plans to cultivate it and make it the center of his work, his home, and his life. To see it today, the farm is incredible; and yet, Enzo has hated the estate since he was a boy. It chained him to hated lists of chores and olive harvesting. However, even as he grew into adolescence, he began to understand that history and traditions can take advantage of science and innovation, and at 18 years of age, he enrolled himself in the faculty of an agrarian school. Now, he cannot deny that what was once his father’s passion is now his own. The homestead of Chiappa has shot another arrow into the heart of the Carpino family. To understand, all one must do is walk among the olive trees. 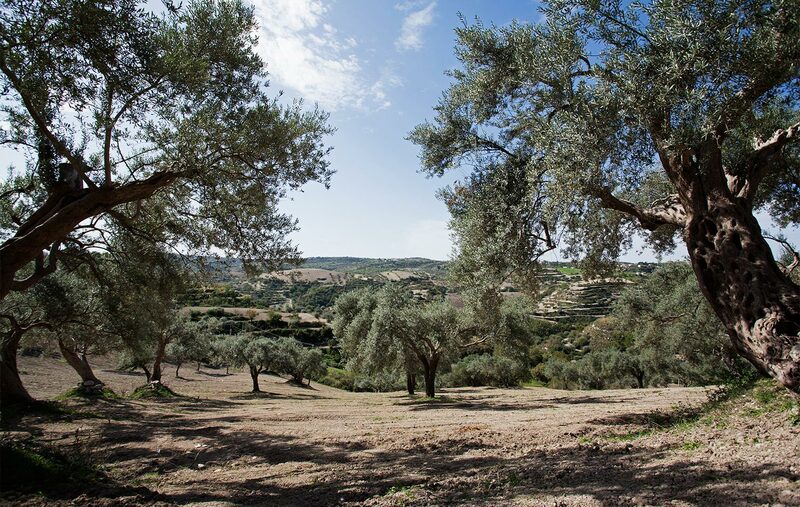 The earth is magic, and is the secret to growing the Tonda Iblea olive variety vigorously. Enzo once had to carry the olives to a general olive press, like everyone else did. It was tedious work. 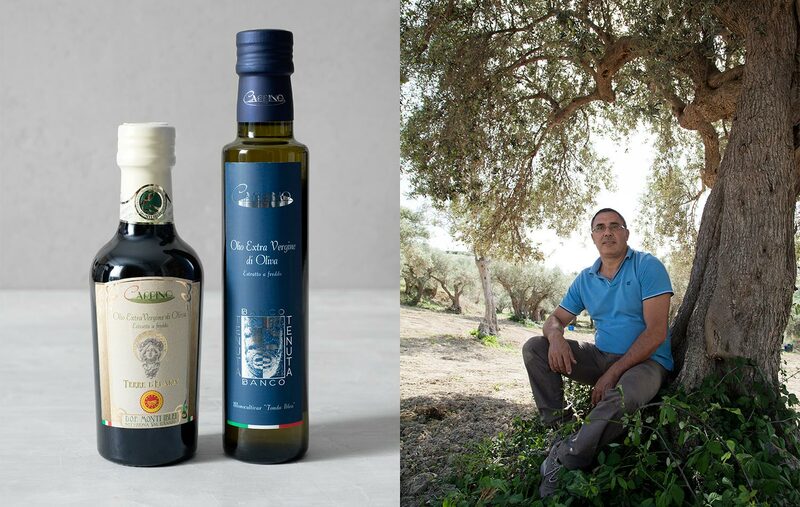 His dream was to make his own olive oil, his own way. So it was that in 1993, he began saving to buy his own olive press, and soon bought one of the latest technology. The road was long but his goal was clear: to make the best olive oil possible. Great loves must be shared: enter Oriana, who soon married not just Enzo, but also his dream. Together, they began attending training courses, olive oil tasting seminars, and meetings with the most expert producers. Creating high quality, unique olive oil is a work of perfection that requires years. It is thanks to this love story that today we can enjoy an extraordinary extra virgin olive oil, a monocultivar of Tonda iblea that Enzo pours us for a tasting. It is glowing, aromatic, and intense. On the nose, it recalls freshly cut hay, apples, green-picked tomatoes, and artichokes. Captured in every bottle is the loving care of Enzo and Oriana, who follow its creation from tree to bottle. They pay particular attention to securing the olives’ safe arrival at the press in no more than a few hours after harvest. 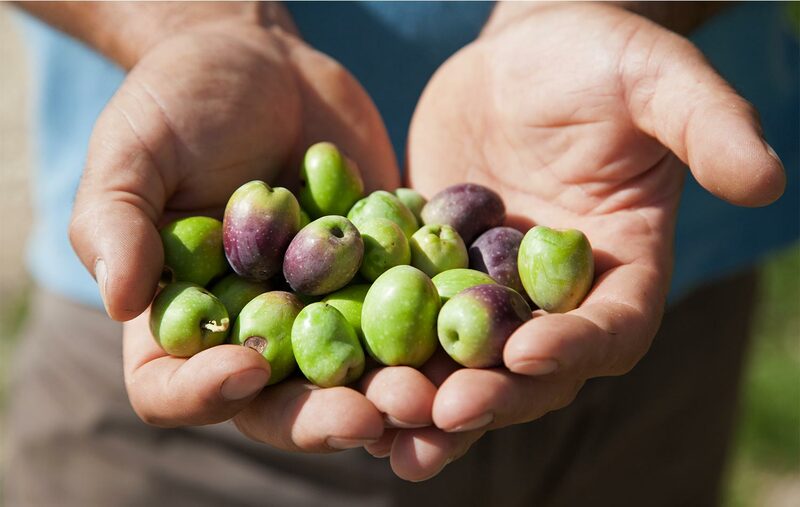 They demonstrate strong determination not to be discouraged at the low olive yield, which is lower when compared to many other varieties. “But what we get in return doesn’t have a price,” says Enzo, satisfied. “The Tonda iblea has a running start with quality.” Taste it to believe it – better still in October or November after having passed a full day among olive groves and the olive press of Enzo and Oriana. Watching them walk peacefully through their olive trees, one perceives that the greatest satisfaction for Enzo and Oriana is their act of building a bridge between the past and future. The eyes of their young boy Lorenzo are already shining with the fatal attraction for this land that his father and grandfather experienced. The Chiappa homestead has shot its third arrow into the Carpino hearts. The future is here.